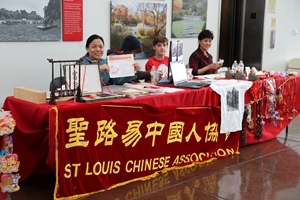 On April 22nd, Consul General Hong Lei attended the Chinese Culture Day at the Missouri Botanical Garden in St. Louis. 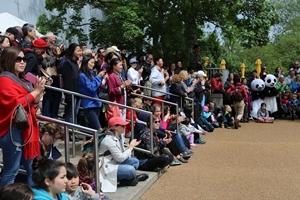 Missouri Governor Eric Greitens, Missouri First Lady Dr. Sheena Greitens, President Jackson of Missouri Botanical Garden, Chairmen Mr. You Kaiyu and Mr. Zhu Yimin of the preparatory committee of the event and over 1,000 people also joined the celebration. 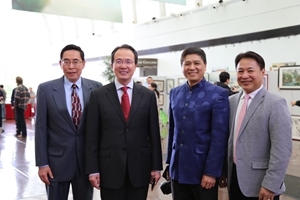 Consul General Hong Lei said at the opening ceremony that as nature consists of various species of plants and life, the world civilization is made up of splendid and diverse cultures of different nations. The mutual appreciation of civilization enriches our life, broadenes our views, and arouses good feelings and better hope for the world. 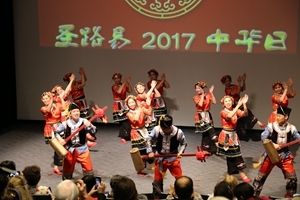 The Chinese culture spans for five thousand years without cessation, and embodies the Chinese nation’s pursuit for a better life, purification of the spiritual world, and exploration of the harmonious coexistence with the rest of the world. 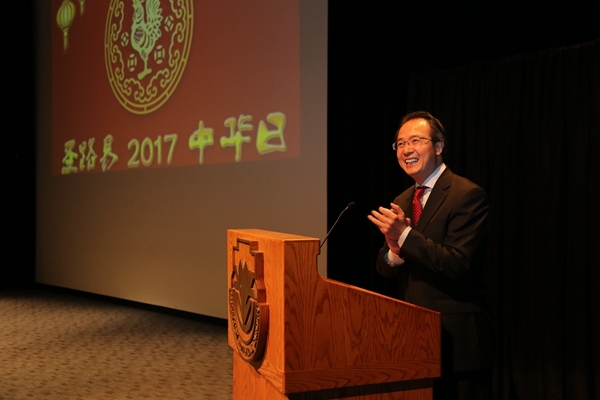 Through the Chinese culture, you can understand China’s relentless efforts to pursue development, the firm choice to go on a path of peaceful development and the resolution to make continuous contribution to world development. As two major countries with important influence in the world, Sino-US relations have become the most important bilateral relations in the world today. The understanding and friendship between the two peoples are very important. The two heads of state have reached a number of important consensus in the just-concluded meeting. One of the most important agreements is to support the two countries in carrying out cultural exchanges and dialogue, deepening the friendship between the two peoples and reinforcing the foundation of bilateral relations. 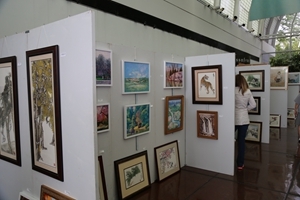 China is willing to strengthen cultural exchanges with Missouri to jointly nurture the flower of friendship between China and the United States. 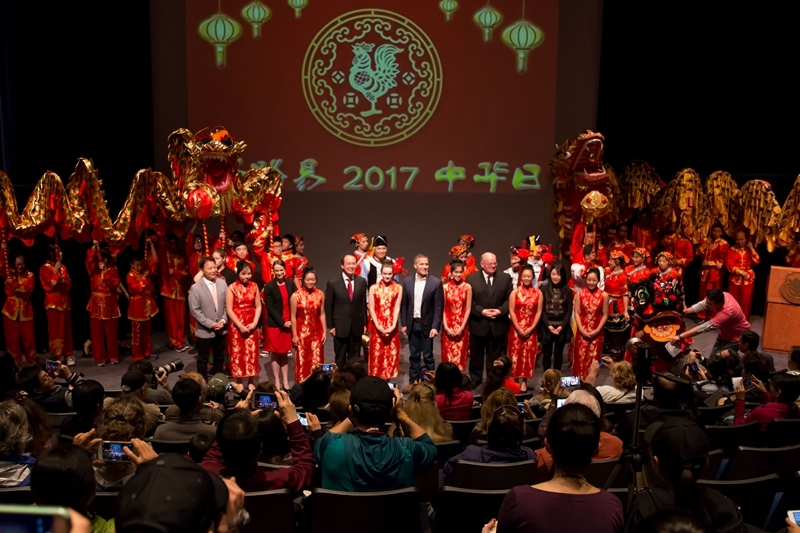 Governor Greitens expressed his warm congratulations on the opening of the Chinese Culture Day and spoke highly of and thanked the Chinese community for their important contribution to the economic and social development of Missouri. 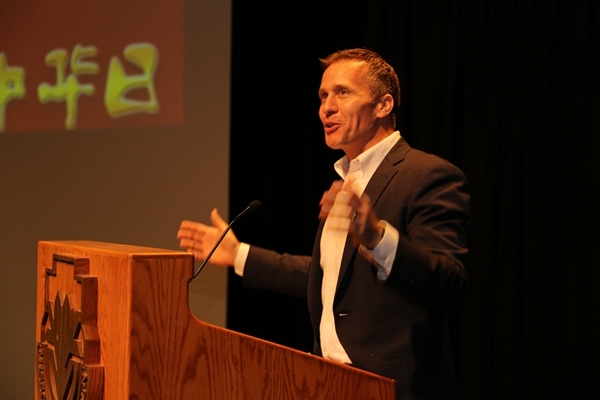 Governor Greitens said that he made first overseas trip to China, and was deeply impressed by the profound Chinese culture. 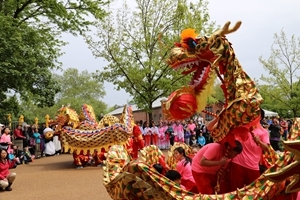 China and Missouri enjoy close economic and trade cooperation and profound cultural exchanges, and the friendship between the two sides lays a solid foundation for bilateral ties. 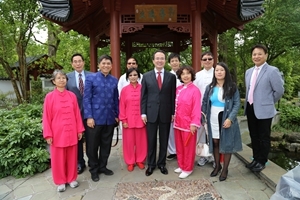 He would like to work with China to continue to promote mutually beneficial cooperation and cultural exchanges. 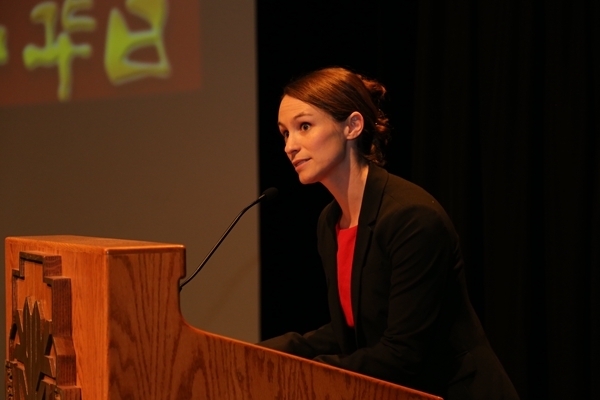 Dr. Sheena Greitens also welcomed all guests to the Missouri Botanical Garden for the Chinese Culture Day in fluent Chinese. 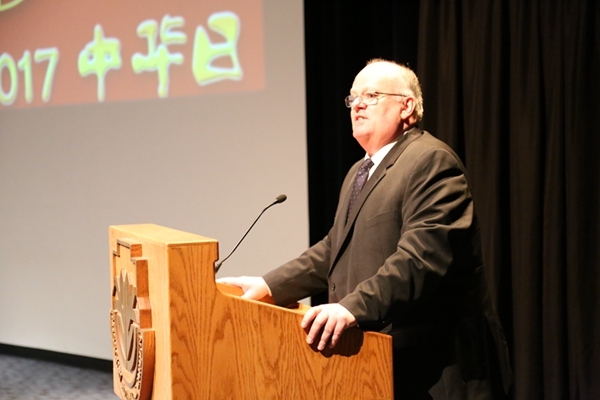 President Jackson said that the Missouri Botanical Garden has been in exchanges with China, and the two sides have conducted a number of joint research. 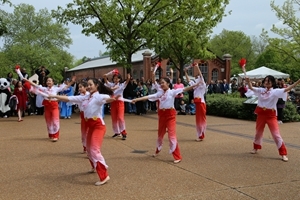 The beautiful Youning Garden stands as a symbol of the friendship between St. Louis and Nanjing. 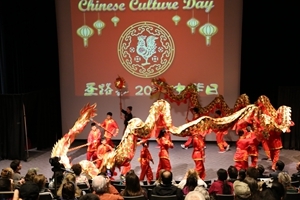 The opening ceremony included dragon and lion dance, martial arts, folk dance and other performances which fully showed the rich and colorful Chinese culture and won constant applause from the audience. 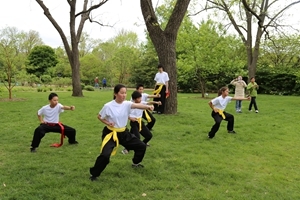 After the opening ceremony, all kinds of performance groups put on various shows in the botanical garden. 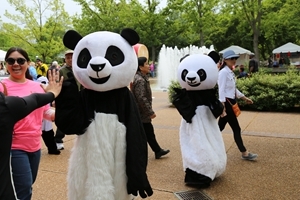 Tourists fully enjoyed the diverse Chinese culture in the beautiful spring time.